Gorgeous pics! That boho wrap is genius, and so bright and pretty. Carolyne Roehm's work is amazing. Always a delight. 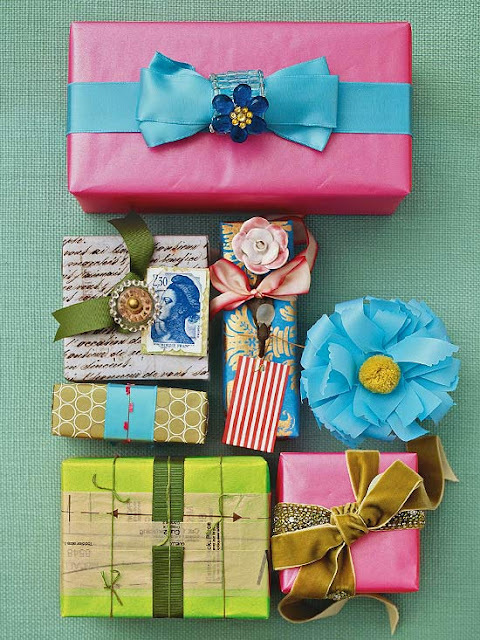 Kniel also has a beautiful book called "Ribbon: The Art of Adornment" which you would love. Wow! 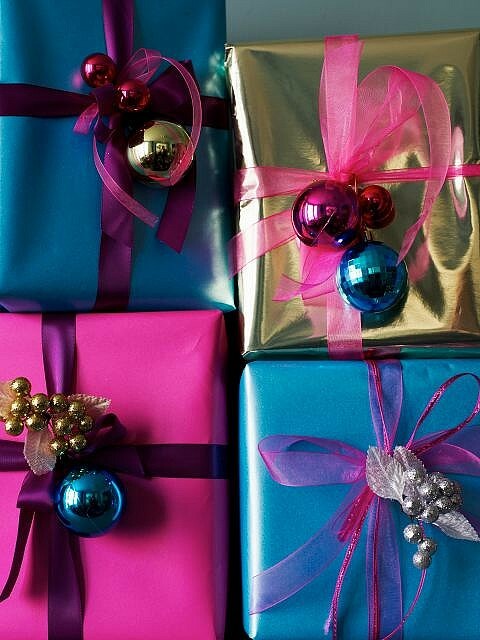 It's all too pretty to unwrap! 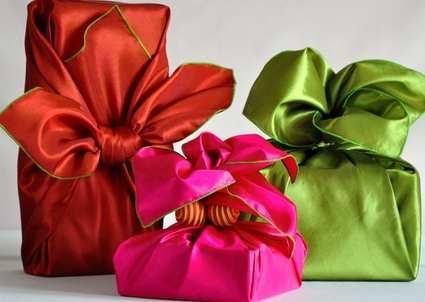 Beautiful wrapping, Sande. 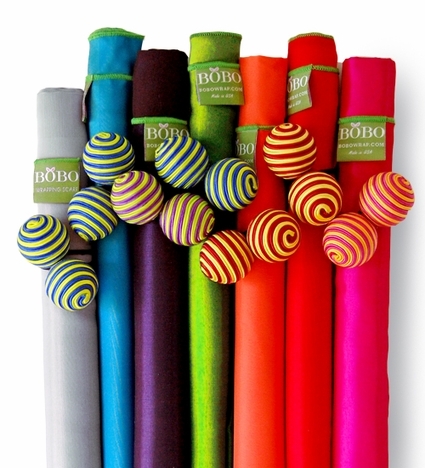 I am headed to Bobo Wraps now. those just got me so excited for Christmas! Wrapping my presents is one of the things I enjoy most. 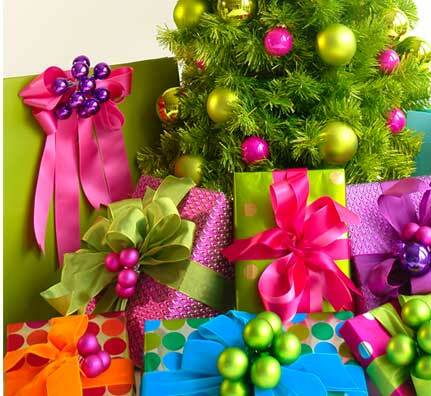 What lovely inspiration these presents are. 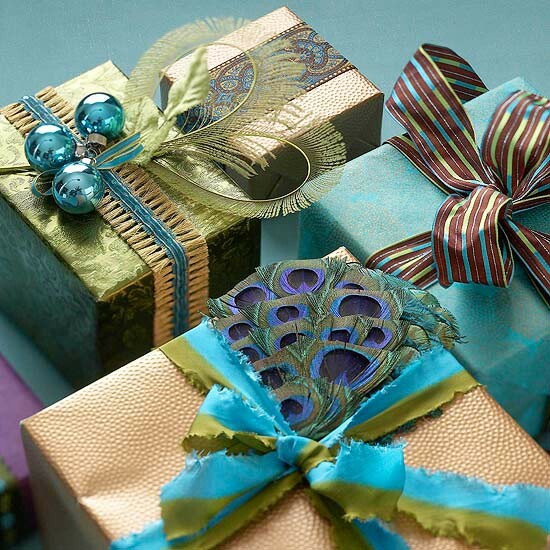 I love every style of giftwrapping you've shared so far. The brights are definitely cheerful and I keep thinking of the zaney people I know who would appreciate this style. I'm off to our children's Christmas play at church-it's Amelia's first time to ever be in a play...we'll see how it goes!